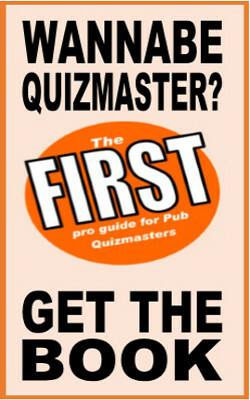 Read more: Can You Charge £1000 for a Quiz Night? There were plans to reclassify SWP (Skill With Prizes) machines, aka quiz machines as gambling and therefore make them subject to other taxes but the HMRC have now ruled that quiz machines "do not contain an element of chance" and therefore are not subject to Amusement Machine Licence Duty (AMLD). What do they mean by no "element of chance" Do they mean that there's no chance of winning? I got an email today which came from a disgruntled Eggheads contestant applicant. "Eggheads is a farce, we auditioned, thrashed the team we played against. Few days later we were told we didn’t get on the show. That was that, but a few weeks later who should be on the show but the team we thrashed. So when they say is there anyone out there that can beat them, yes us but they wont put strong teams on!!!!!" It might be as simple as… they didn’t like you! Unfortunately TV quiz shows are entertainment rather than sport, and the producers of Eggheads (as in all game shows) are always looking for contestants who they think will make good and interesting telly rather than setting out to apply Olympic standards of fairness. I’m not defending their decision to not have you on the show by any means but it’s worth remembering that there are other factors. For instance, profiling. This means that if there are already too many applicants with a similar gender, race and age profile as your team, then you may struggle to get on. The producers want to see on-screen variety. I recently promised you a review of Quiz Night Chief, which is a piece of software designed by an Australian company called Oakfocus and intended for use by quizmasters. The full price version costs $35 USD but you can also get a free trial. True or False: The Irish blood transfusion service gives you a free pint of Guinness every time you give blood.